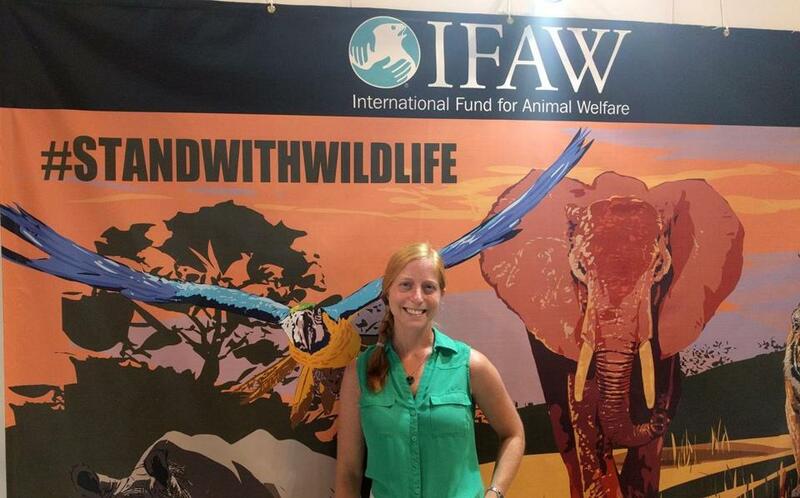 Tracy Bain, senior programs officer for the wildlife crime program at the International Fund for Animal Welfare, is based in Yarmouth Port. When tourists encounter wildlife, especially in exotic locations, “they can make decisions that can lead to helping the animal,” said Tracy Bain, senior programs officer for the wildlife crime program at the International Fund for Animal Welfare. The nonprofit group, which is based in Washington, D.C., and has its operational headquarters in Yarmouth Port, where it also runs Marine Mammal Rescue, works to save individual animals, animal populations, and habitats around the world. “Usually people think only of cute or cuddly animals, but this can extend to things like coral, shellfish, and marine animals, not just the fluffy, furry, and feathery,” Bain said. This summer, IFAW will stage a campaign in airports educating travelers about wildlife trafficking and poaching and how tourists can help prevent them. Below are edited excerpts from an interview with Bain. Q. Wildlife trafficking and poaching sounds like very distant activities that are not part of the average travelers’ experience. How do you make the connection? A. We show people how what they do during their travels actually can have an impact. A lot of this has to do with demand reduction. Consumer demand for wildlife products is one of the major threats driving the extinction of high-value species. If there is no demand for exotic cuisine or souvenirs or petting wildlife, then fewer animals will be trafficked or killed. Q. What travel activity would you say poses the biggest threat to wildlife? A. I think the big threat right now is around the selfie craze. There’s a huge rising trend to take selfies and photos in general that have those cute, adorable animals in the photo with you. This is driving up the demand to see and touch animals, and that in turn is driving more poaching in countries where they rely on these photo opportunities to make money. It could be a lemur in Madagascar, a Barbary macaque in Morocco. These kind of animals are almost always taken from the wild as infants and are kept in inhumane conditions. Another example of something really popular in some countries in Asia and even in the US is cub petting. For tourists, it’s amazing to pet an adorable tiger or lion cub. But they’re usually from mothers who are overbred and have cubs taken from them when they’re young. The cubs are passed around for hours and hours a day. It’s extremely stressful and bad for their health. As they get older, they end up in roadside shows or killed, with their skins and bones and teeth and claws going into the illegal trade. None of the outcomes are good. We never advocate touching wildlife. Q. Are some of these exotic animals also poached for the pet trade? A. Yes, the other issue of people posting photos or videos of petting animals is people get the idea that these animals can become pets. The slow loris, a really adorable primate in Asia, is a great example. You can go on YouTube and watch lots of people scratching and petting them. They raise their arms up in a way people could think they like it, but it’s actually a stress response and they’re quite scared. 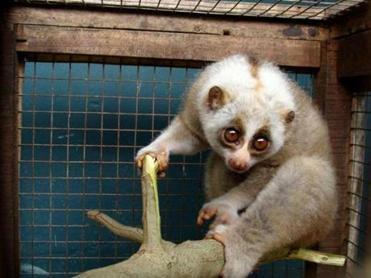 Now the slow loris is in danger of extinction because of illegal trade. Q. What about whale watching, a popular New England activity? A. In general, it’s a great ecotourism activity if you choose operators that are whale-friendly. In general, you will see these amazing creatures moving through the waters and you don’t want to get in their way or get so close that they’re going to change direction. Q. You’d mentioned souvenirs and exotic cuisine. What are some of the animals to avoid? A. When people travel, of course they want try different foods and bring souvenirs home. We think that it’s really great to support the local community. But anytime you see a product made from wildlife, you should steer clear, whether it’s from an endangered wild animal or plant. In general, there are lots of dining and shopping options made from non-wildlife products. Some souvenir products to avoid in the Caribbean include anything made from sea turtle shells, protected leather, like crocodiles, and coral. Every time you’re breaking coral, you’re hurting an animal. In Africa and Asia, avoid ivory products, and anything with rhino horn, and tiger fangs and claws. If you buy those products, you should know that the animal died to make it, usually a very painful death. Things to avoid eating include game meat, whale meat, sea turtle eggs, and shark fin soup, which is one of those cuisines touted as something new and exotic, but really has a very negative impact on shark species. 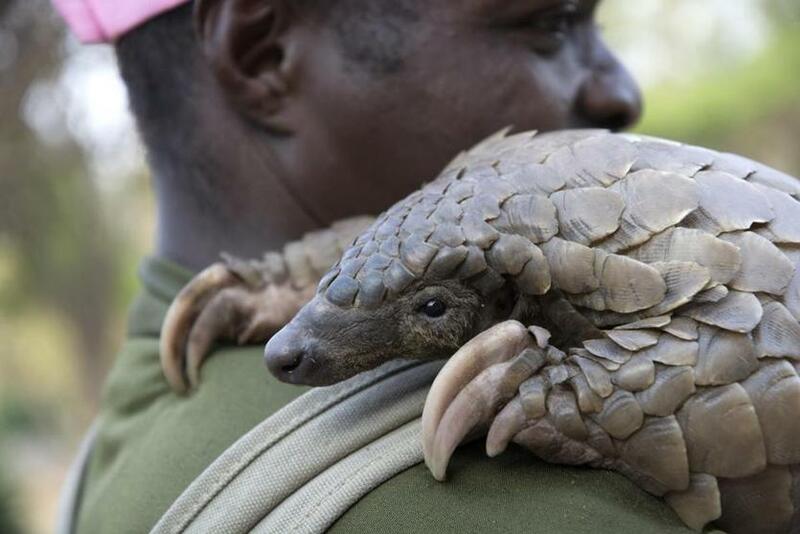 One of the world’s most trafficked animals is the pangolin — for its meat and its scales, which are used for medicine. There are eight species, in Africa and Asia, and they’re all in danger of extinction. They look like armadillos and are very gentle, which makes them more susceptible to trafficking. A pangolin at a rehabilitation center. Q. Is there any cause for optimism? A. Yes, we are seeing a change in the way some tour operators are interacting with wildlife. For instance, there’s a big decrease in opportunities for people riding elephants. The ivory ban that passed in China was a huge success. Also, we encourage people to still see wildlife and to take photos, but to do so in a way that is respectful and to use social media to help in positive ways.